Last year I was in England, and a snowdrop obsessive there (aka, a Galanthophile) showed me this cool trick, using mesh pots to keep her vast collection of different varieties organized. She puts her bulbs in these pots (designed for use in hydroponic systems, I believe), and then sinks the entire pot down in the ground, so that the pot is invisible. The pot keeps the bulbs contained and easy to find so you can dig them up to divide or share even when dormant, and keeps different varieties growing next to each other from getting mixed up. 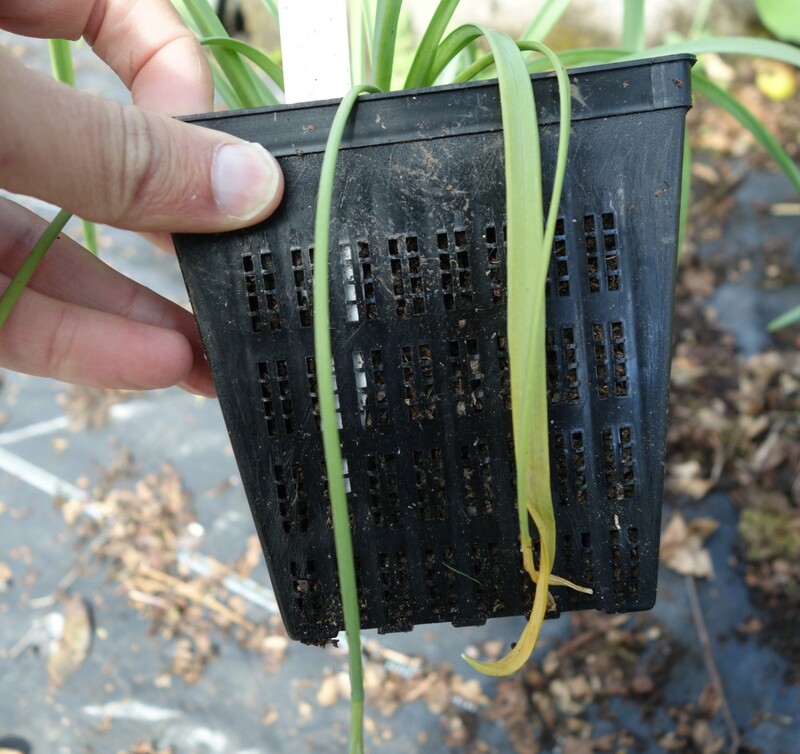 But unlike a regular solid-sided pot, the open mesh allows roots and water to move freely so the bulbs grow just as easily and with as little care as if they were planted directly in the ground. 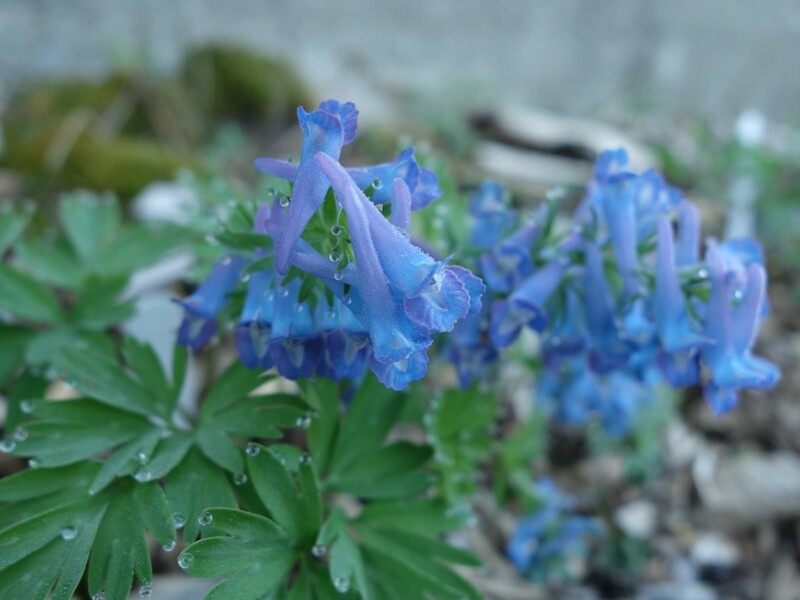 I’m not a snowdrop lover, they frankly bore me, but I have been getting more and more obsessed with bulbous corydalis, selections of C. solida and the amazing true blue Corydalis turtschaninovii. The tiny bulbs are impossible to find once they get dormant, and my collection is already beginning to get mixed up as the different varieties begin dividing and encroaching on each other… I’m going to start planting new editions in mesh pots to keep everything organized. This is a great tip! I’m thinking this might be a good way to thwart the voles that find some other plants very tasty. I don’t believe that these mesh pots will yield success when it comes to thwarting voles. They tend to travel on the soil surface and burrow down into the chosen bulb. One winter, I lost over 100 Asiatic and Oriental Lily bulbs to voles. Every one of them had been accessed from the top down. I am trying the same concept with my daffodil bulbs to keep the varieties separated. I used plastic colanders, a large tea-strainer, the insert basket in lettuce spinners, utensil basket from dish drainers–items that I would be discarding or from thrift stores. Some deeper items get a handful of pea gravel. Labels were attached to edge of container with a twist-tie. Archaeologists will be puzzled at some point! Thanks, Joseph. That’s one of the sources I had found. It looks like they only have a hybrid this year. Great stuff, though. Augis Bulbs in Lithuania has it, as well as tons of other cool stuff, and what seems like reasonable prices. Cheers.